Howard Louthan is Professor of History at the University of Florida. 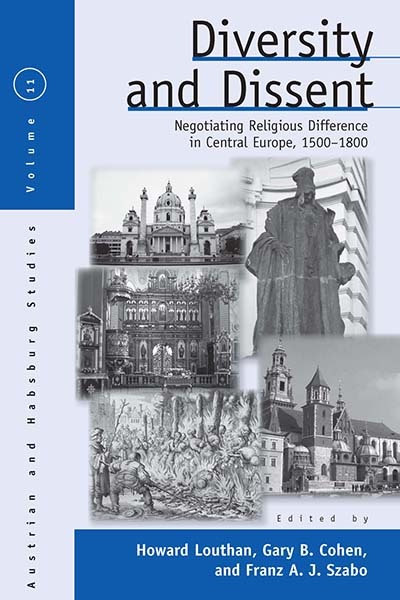 He specializes in the intellectual and cultural history of early modern Central Europe. Among his books are The Quest for Compromise: Peacemakers in Counter-Reformation Vienna (Cambridge, 1997) and Converting Bohemia: Force and Persuasion in the Catholic Reformation (Cambridge, 2009). Gary B. Cohen is Professor and Chair of History and former director of the Center for Austrian Studies at the University of Minnesota, Twin Cities. He teaches modern Central European social and political history and has published numerous articles and essays as well as two books in these areas. Franz A. J. Szabo is director of the Wirth Institute for Austrian and Central European Studies and Professor of Austrian and Habsburg History at the University of Alberta in Edmonton, Canada. He has published widely in Europe and North America, including a prizewinning book on Habsburg enlightened absolutism and a recent study of the Seven Years War.